Matt Erdmann has been a Consultant Plastic Surgeon since 1998. He consults and carries out Cosmetic Surgery at the SPIRE Washington Hospital 10 miles north of Durham, UK. He qualified MBBCH from the University of the Witwatersrand, and subsequently obtained his FRCS(Eng) Surgical diploma in the UK in 1990 followed by the FRCS(Plast) Intercollegiate diploma specialising in Plastic Surgery in 1996. He practises as a Consultant in the NHS at both the University Hospital of North Durham and Sunderland Royal Hospitals, and is Clinical Director within the Department of Plastic Surgery in both. He is a Honorary Senior Lecturer at the University of Edinburgh. His particular interests lie in facial, breast and trunk cosmetic surgery, and introduced the technique of water-based liposuction (cf Bodyjet), being the first consultant in the North-East England to carry out this procedure routinely. 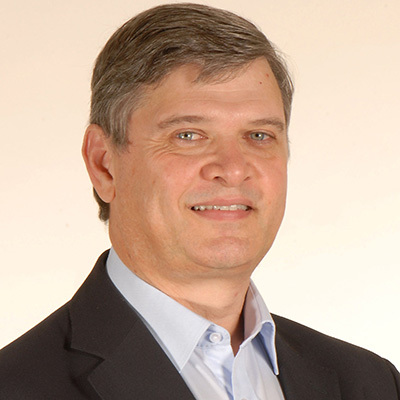 Mr Erdmann graduated from the University of the Witwatersrand in 1980, and has been a Consultant Plastic Surgeon since 1998 at the University Hospital of North Durham, England. He has had a broad training in all aspects of Plastic Surgery in large units across the UK from 1989 to 1998. His initial postgraduate training was in anaesthetics, general surgery and orthopaedic surgery, after which he trained in various large Plastic Surgery units in London (Charing Cross Hospital), Exeter, Norwich, Edinburgh and finally the Canniesburn Unit in Glasgow where he was Senior Registrar for 3 years. He has also spent a six-month Hand Fellowship at the Royal Adelaide hospital in Australia. He has researched endoscopic techniques in hand surgery and pioneered Endoscopic Carpal tunnel surgery to become the first surgeon in the United Kingdom and amongst the first in Europe to perfom this procedure. He was awarded the Barron Video Prize in 1991, the Norman Plummer Prize in 1992 and the Pulvertaft Prize for his research on Endoscopic Carpal Tunnel surgery in 1993. His publications include over fifty peer-reviewed original articles and research papers, as well as book chapters and internet presentations. He has appeared on National (Embarrassing Bodies) and Foreign television channels as well as in national and local newspapers. Mr Erdmann is currently Clinical Director, Consultant and Educational Supervisor within the Plastic Surgical unit at the University Hospital of North Durham, and is the past Secretary to the Northern Regional Advisory Committee in Plastic Surgery. He was also past Clinical Governance lead for the Specialist Advisory Committee at the Spire Washington Hospital.